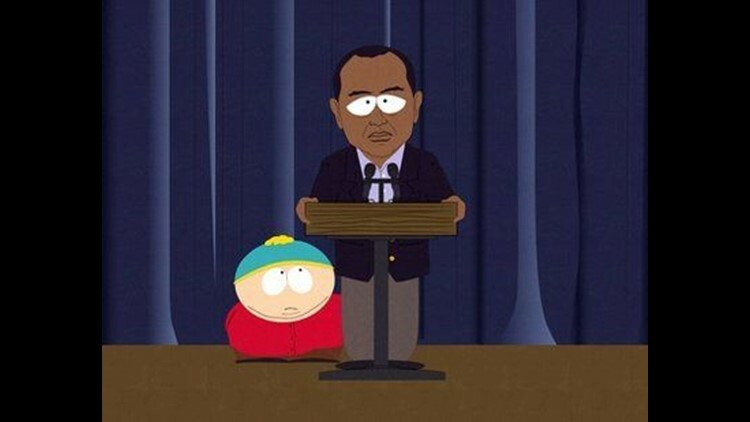 NEW YORK (AP) – Golf clubs in hands or not, the kids of "South Park" are ready to take on Tiger Woods. Creators of the Comedy Central cartoon have long since proven that no subject is sacred to them. So for the opening of its 14th season on Wednesday, the troubled golfer encounters Stan, Kyle, Kenny and Cartman in their animated Colorado town.fGolf clubs in hands or not, the kids of "South Park" are ready to take on Tiger Woods.